Bear markets seem scary, but they’re not as bad for older investors as we’ve been led to believe. With US stocks outperforming non-US stocks in recent years, some investors have again turned their attention towards the role that global diversification plays in their portfolios. Sometimes the best, most rigorously developed financial advice is so obvious, it’s become cliché. And yet, investors often end up abandoning this same advice when market turbulence is on the rise. Why the disconnect? Alternative: one or more things available as another possibility. Should you consider alternative investments for your portfolio? Combining an enduring investment philosophy with a simple formula that helps maintain investment discipline can increase the odds of having a positive financial experience. While the concept of correlation may be a bit confusing, it is critical to the concept of science-based investing. So, here’s our attempt at explaning correlation and how it effects your investments. When the prices of goods and services increase over time, consumers can buy fewer of them with every dollar they have saved. How can you fight this inflation. For investors, it can be easy to feel overwhelmed by the relentless stream of news about markets. You may need help turning down the noise. The majority of the financial services industry is incompetent or worse. Rarely do they tell the whole truth about their fees and commissions. Where Did My Premium Go? From 1928–2017 the value premium in the US had a positive annualized return of approximately 3.5%. In seven of the last 10 calendar years, however, the value premium in the US has been negative. So, what happened to it? We give to support the causes we cherish. We give because we’re grateful for the good fortune we’ve enjoyed. Good giving feels great – for donor and recipient alike. That said, a tax break can feel good too, and it may help you give more than you otherwise could. In 2017, we were again reminded of the importance of following an investment approach based on discipline and diversification vs. prediction and timing. Moving forward, we can look at several examples from 2017 that provide perspective on what guidance investors may want to follow, or not follow, in order to achieve the long-term return the capital markets offer. What do rising interest rates mean to your financial well-being? Is there anything you should “do” to your investment portfolio when they occur? As with most economic events over which we have no control, we typically recommend you act only on factors you can personally expect to manage. The human brain is wired to create poor financial decision making. Generally, when it comes to money, we feel secure when we should feel insure, and we feel nervous when the risk of loss is actually quite low. Have you caught cryptocurrency fever, or are you at least wondering what the fuss and excitement are all about? Odds are, you hadn’t even heard the term until recently. Now, it seems as if everybody and their cousin are wondering if they should be buying Bitcoin or Ethereum. Making money is a lot more simple than we'd like to believe. Just a few simple concepts will put you miles ahead of most investors. Here are my five top tips. Focusing on what you can control can lead to a better investment experience. 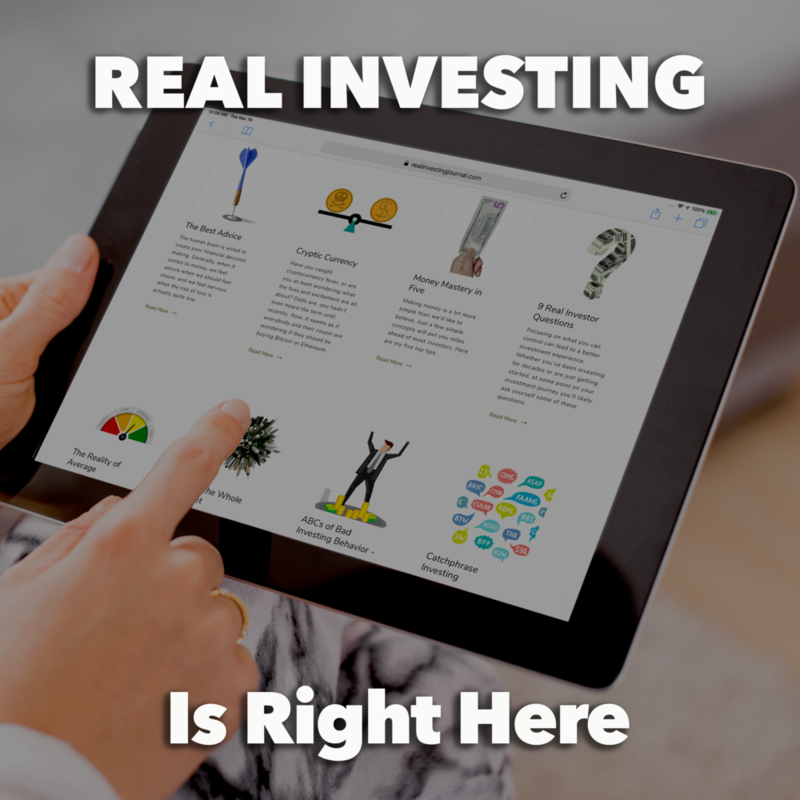 Whether you’ve been investing for decades or are just getting started, at some point on your investment journey you’ll likely ask yourself some of these questions.